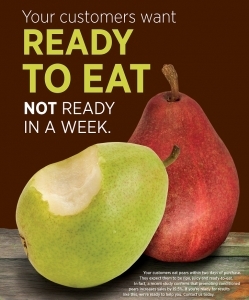 Recent consumer research shows that 51% of pear consumers will eat their pear within 1 or 2 days of purchasing at the grocery store, and 71% of pear consumers will eat there pear within the first 3 days of purchase. Offer your pear shoppers the pears they want. Ask for conditioned pears from you supplier, or contact the PBNW for support in conditioning and ripening. Research shows that simultanesouly carrying Green Bartlett and Green Anjou pears incrases profits by 7%. Retail POS Data provided by IRI/FreshLook Marketing for Pear Bureau Northwest compared Green Anjou and Green Bartlett pear sales from September 2013 – March 2014 versus the same period the year prior. The participating retailer’s test division carrying two green pear varieties during the test period outsold control divisions carrying only one green pear variety by 7%. 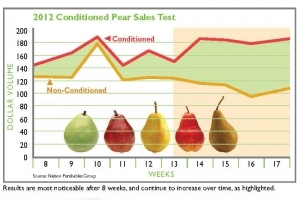 In a 2012 test, stores carrying conditioned Anjou pears averaged a 19.5% purchase increase over control stores selling non-conditioned Anjous. Results are most noticeable after 8 weeks, and continue to increase over time. 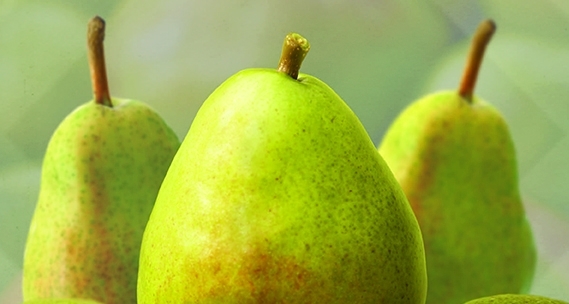 Pear Bureau Northwest commissioned the conditioned pear sales impact study through Nielson/Perishables Group in 2012. The confidence level between test and control stores is 93%. 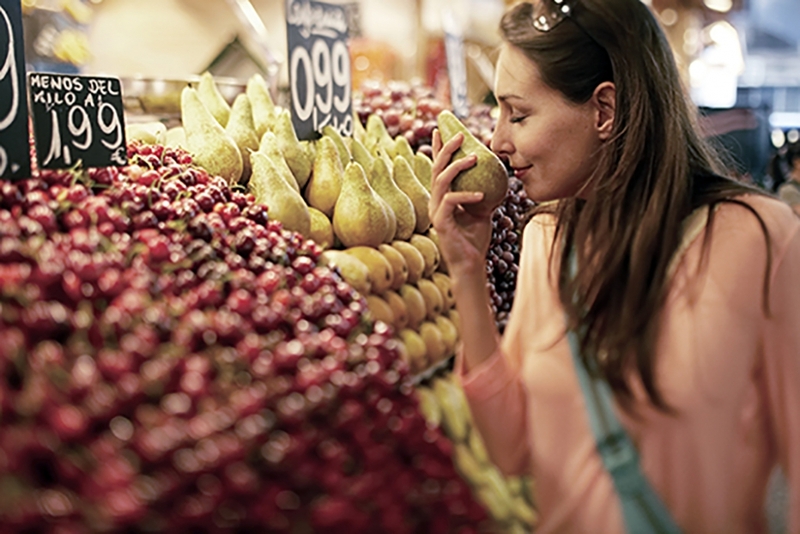 About half of pear purchases are made on impulse, meaning many shoppers didn’t plan to purchase pears until they were attracted to the store display. 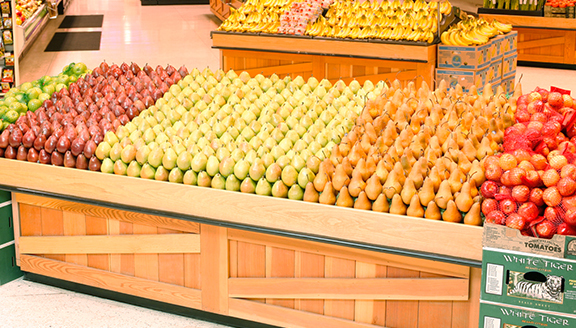 By placing pears on display near the traffic patterns, shoppers are more likely to add to their cart and increase their spending.